When it opened in October, 1982, the second theme park at the Walt Disney World Resort was called EPCOT Center. The letters in its name were capitalized to emphasize that the word was really an acronym coined by Walt Disney in the 1960s during the development of the “Florida Project” (which eventually became the Walt Disney Resort). 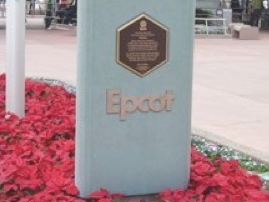 Walt Disney’s concept for an “Experimental Prototype Community of Tomorrow” (EPCOT), was at the center of his plans for developing the extensive property he had acquired in central Florida. The plans included transportation systems, water and waste systems, commercial districts and, of course, residential neighborhoods. In fact, for this reason (among others) Walt and his brother Roy were able to successfully lobby the Florida legislature to grant Disney governmental control over their Florida property. So, while geographically contained within the Florida counties of Orange and Osceola, the governmental authority responsible for Disney’s Florida property is the Reedy Creek Improvement District (RCID) – which is completely controlled to this day by Disney. In fact, when The Walt Disney Company finally developed a permanent residential community on the property – Celebration – it ceded governmental control of the community to the county of Osceola, so the only voters living on its property are those it selects to maintain its exclusive control over RCID. Walt Disney died in 1966, however. Walt had been involved in scouting the site and acquiring the land for the “Florida Project,” but he did not live to see it built. His older brother, Roy Disney, spearheaded the company’s efforts to complete the first of the Florida Theme Parks – The Magic Kingdom – which opened in October, 1971 along with the Contemporary Resort and The Polynesian Resort. Roy Disney is said to have insisted that the Florida project be named after his brother rather than just “Disney World.” Roy died shortly after the opening of the Walt Disney World Resort. By the late 1970s, the company decided to add a second Theme Park to the Florida resort. 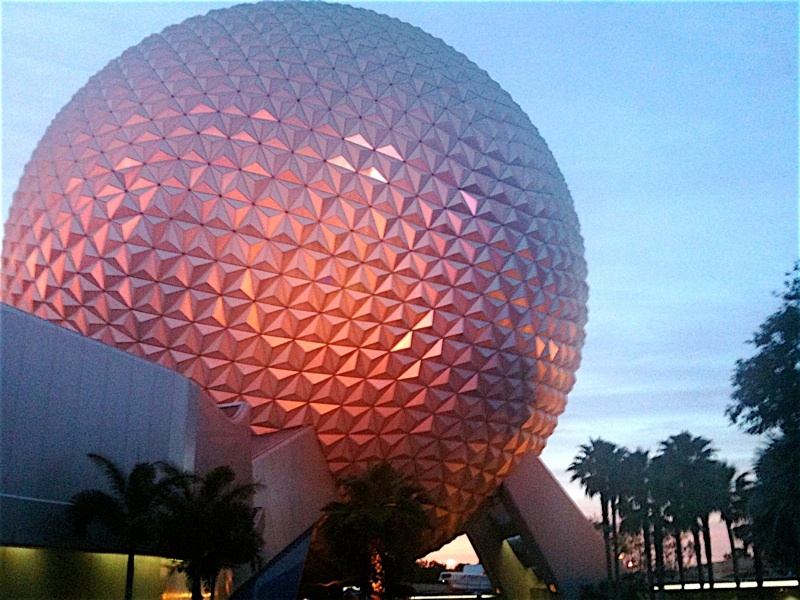 Several different concepts had been considered, but ultimately chosen was a part of Walt Disney’s EPCOT concept, a permanent world’s fair combining technological pavilions with international pavilions. 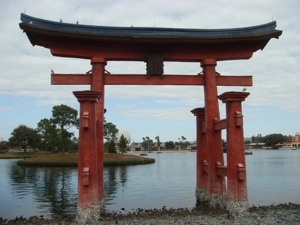 The location selected for the second Theme Park was the “center” of Walt’s EPCOT – thus giving the park its name EPCOT Center. Gone, of course, were the residential neighborhoods, the commercial district and the rest of what might be considered a “community.” In its place, in what was described as the most expensive privately-funded construction project of its time (reported to be in excess of $1 billion), the Company built a new Theme Park more than twice as large as The Magic Kingdom. When it opened in 1982, EPCOT Center featured two themed areas: Future World and The World Showcase. 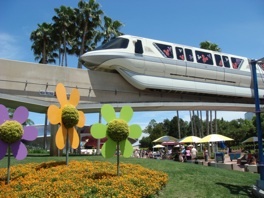 To get to the new Park, the main mode of transportation was the Monorail’s new separate line from the Ticket and Transportation Center (“TTC”) to the gate of EPCOT Center. At the end of the approximately two-mile journey on the Monorail and before reaching the Monorail station, you received a grand circle tour through Future World in the new park. As the Monorail neared the Park, you could not miss its main icon (or “weenie” in Disney terminology), Spaceship Earth (presented by the Bell System). The Monorail traveled over the turnstiles and passed to the left of Spaceship Earth for a clockwise trip through Future World. On your left, you saw the Universe of Energy (presented by Exxon) and the solar panels spread out over its roof. On your right, you saw the entry plaza and fountain in front of Spaceship Earth and, as you passed Spaceship Earth you saw Communicore East and a collection of satellite dishes. As the Monorail continued on its trip, on your left you saw the site reserved for Horizons (presented by GE) which had not yet been built, followed by the World of Motion (presented by GM). As the Monorail reached the mid-point of its circle-tour, you were presented with a clear view of the World Showcase Lagoon. In 1982, the member countries were (looking clockwise from the Monorail): Mexico, China, Germany, Italy, U.S.A., Japan, France, United Kingdom and Canada. As the Monorail completed its tour, on your right you saw Communicore West and on your left, Imagination (presented by Kodak), The Land (presented by Kraft) and the site reserved for The Living Sea. The Monorail then crossed the exit turnstiles and stopped at the station to let you off and begin its return trip to the TTC.